For Love of Writing, or FLOW, is a south side group dedicated to supporting writers on their journey from conceptualizing to publishing — and a lot in-between. 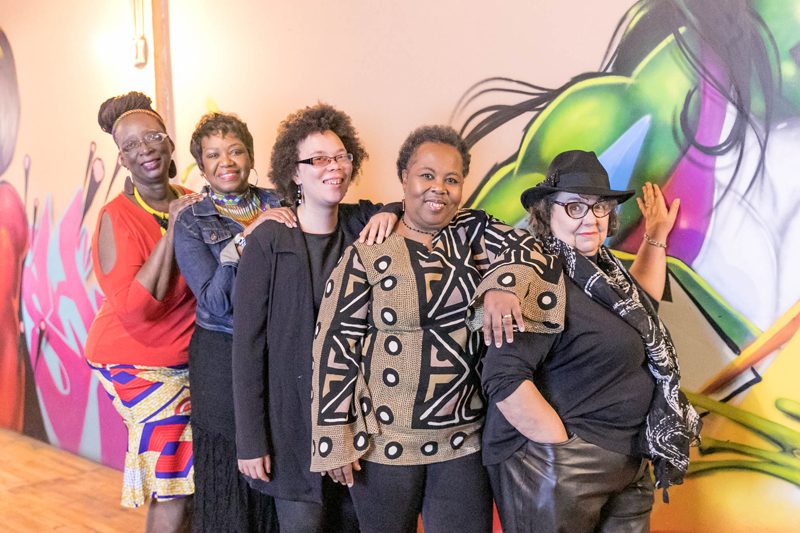 The core group of six African American women writers are Tina Jenkins Bell, Lydia Barnes, Chirskira Caillouet, Dr. Janice Tuck Lively, Sandra Jackson Opoku and Bettina Walker. The women started meeting in the mid1990s as a way to workshop their writing projects and support one another in their writing endeavors. Aside from personal and professional development, FLOW is determined to make an impact on the community as well. Their writers have partnered with Chicago Public Libraries, Soulful Chicago Book Fair, Bookie’s and the University of Chicago Logan Center for the Arts to offer craft and professional development workshops. While honing their craft and navigating the business angle of publishing, FLOW writers also have developed strong relationships with one another to create a trust and a sense of security within which they provide feedback. Associate members of any gender or race are welcome to FLOW II. Programming for associate members is varied and will appeal to writers of any level of experience. For more information FlowAuthors.com.